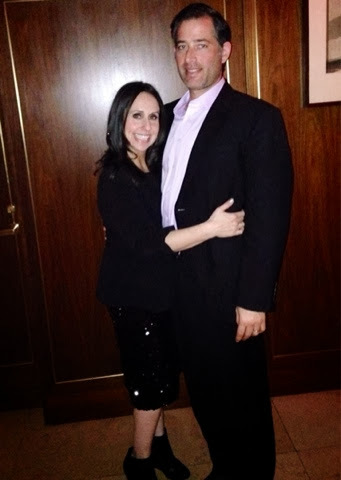 I am lucky enough to have a sister-in-law, Debbie, who is so special to me. She is my husband Jeff's sister and because I am an only child, I appreciate what a good friend she is to me and how great she is with my boys. Debbie also happens to do a little work in Hollywood from time to time. Jeff and I have gone to some AMAZING parties with her in the past. She actually just took us to one a few weeks ago. I can't go into details, it was very hush hush. It was at a hot hotel on Sunset Blvd. in Los Angeles. What does a girl wear to a party like this? This is an ongoing struggle. You don't want to overdo it or show up in jeans and a tshirt. You want to look like you fit in. Well this is what I decided on. 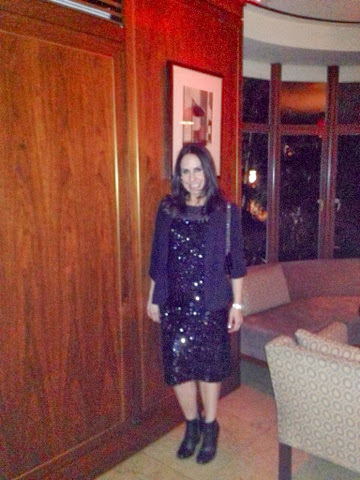 A great sequin dress, with a blazer over it, and my classic wedge booties. I love this look. Not only for this Hollywood party, but for any party, or funky fun night out. 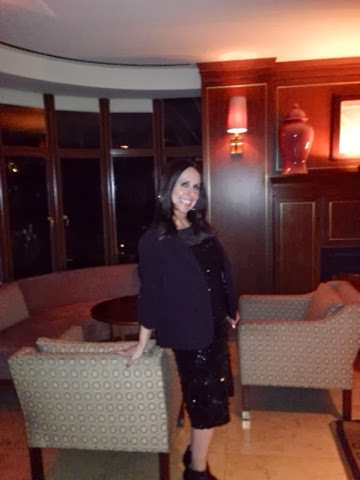 A great sequin/beaded dress can be so fun and adding a blazer over any cocktail dress just makes it edgy and less dressy. I also suggest to try booties, my current obsession are these Chanel booties I'm wearing here. Trying any bootie can be a modern alternative to a heel. I was so happy with how this outfit turned out and I had the most handsome date there! I'm a lucky girl.